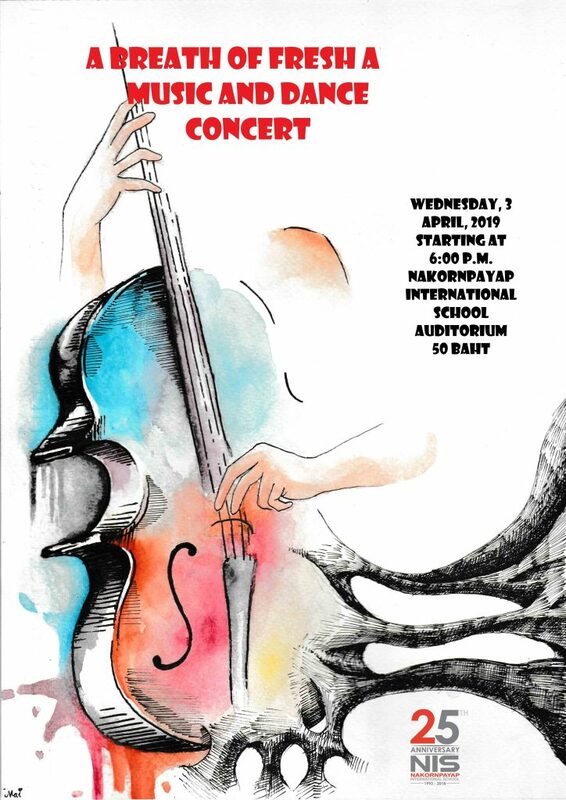 Wednesday, 3 April, the NIS Fine Arts department will be presenting two concert performances in the NIS auditorium to celebrate the achievement of our music students school-wide. The morning concert will begin at 10:30 a.m. featuring performances by Elementary, AAP, K3 and Saturday Dancers. 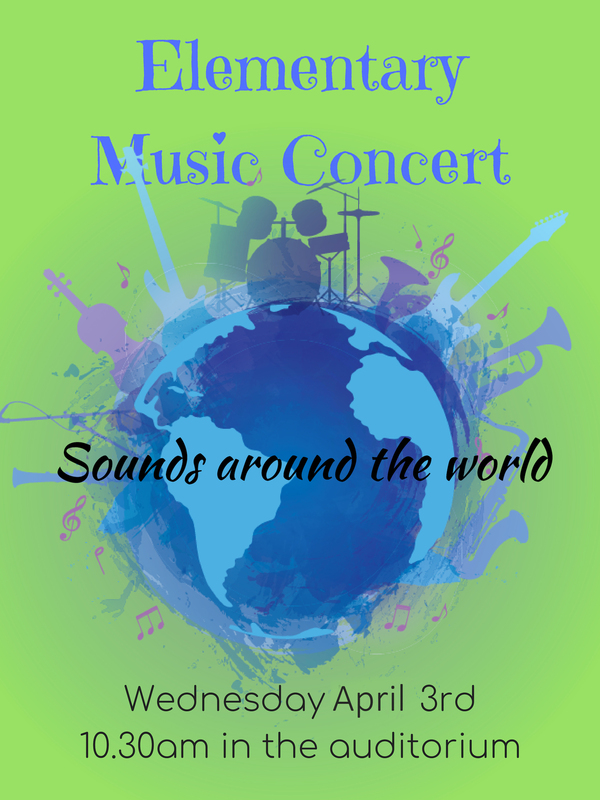 This International themed concert titled ‘Sounds Around the World‘ will showcase music from many regions of the world, and highlight the musical progress that students have made over the course of this academic year. 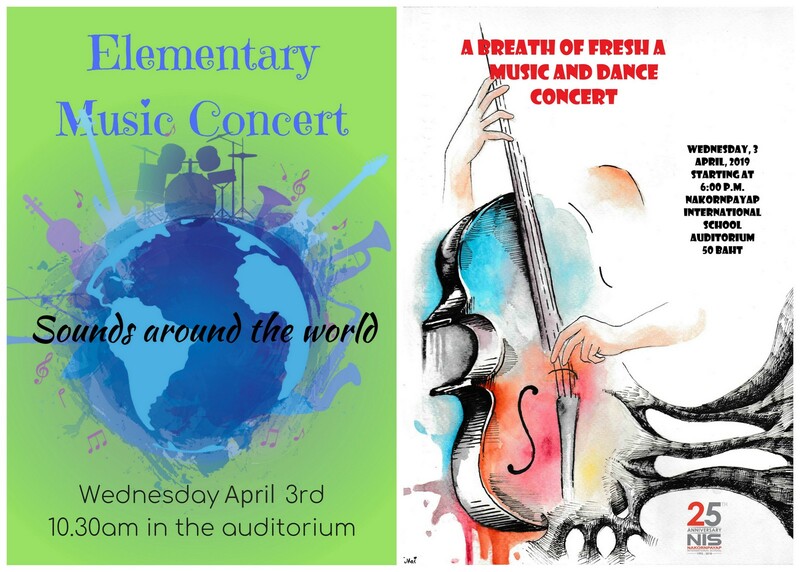 The MS/HS evening concert – ‘A Breath of Fresh Air‘ – will begin at 6:00 p.m. in the NIS auditorium featuring performances by: the Grade 6 Beginning Band, the Grade 7 and 8 Middle Band, the Senior Band, NIS Jazz Band, student ensembles, and, MS/HS dancers. Admission is 50 Baht. Free admission for all students! We graciously invite you to attend these events, as all of the students involved have put forth a terrific effort and deserve to be seen and heard by an appreciative audience. Please come enjoy a wonderful afternoon and evening of music and dance, and help us celebrate the accomplishments of these talented NIS students.